Across the world, 24 people were forced to flee their homes every single minute in 2016. Today, on World Refugee Day, we join together to celebrate their courage, strength, and resilience. In Iraq, many of our staff members are displaced themselves – living in abandoned buildings or sprawling camps and unable to return home. They have suffered enormously, but they are also taking action to make lasting change in their country. Every day, we are inspired by their enormous acts of courage to help others. Please read and share Khalida’s story, and show that you stand #WithRefugees. “I’m from Mosul originally. My parents and grandparents are from the city, and I met my husband there and set up a home near the center to raise my family. But despite it being home, we knew we had to flee when ISIS arrived. We knew they would bring terror to our streets and that if we didn’t try to escape immediately, we might never be able to do so. We didn’t even have time to pack bags. I grabbed my two children and together with the rest of my family, we tried to escape. It was absolute chaos. My father, children, and I were separated from everyone. 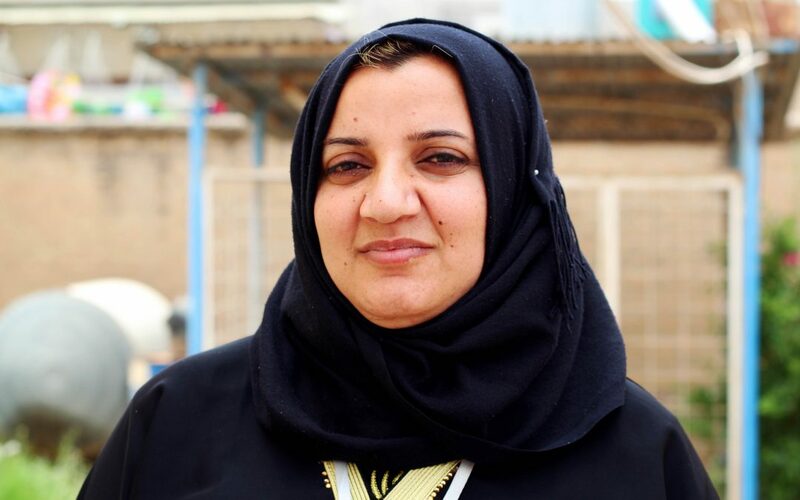 It was only when we got to Erbil [in northern Iraq] that I discovered my brother had been killed, my sister had been kidnapped, and my husband had been badly injured and was being treated in a nearby hospital. My father couldn’t cope with the stress. He was devastated by what had happened. He suffered a huge heart attack, and died really suddenly. I was heartbroken. To lose so much in such a short space of time is really hard to deal with. But then I heard about AMAR. 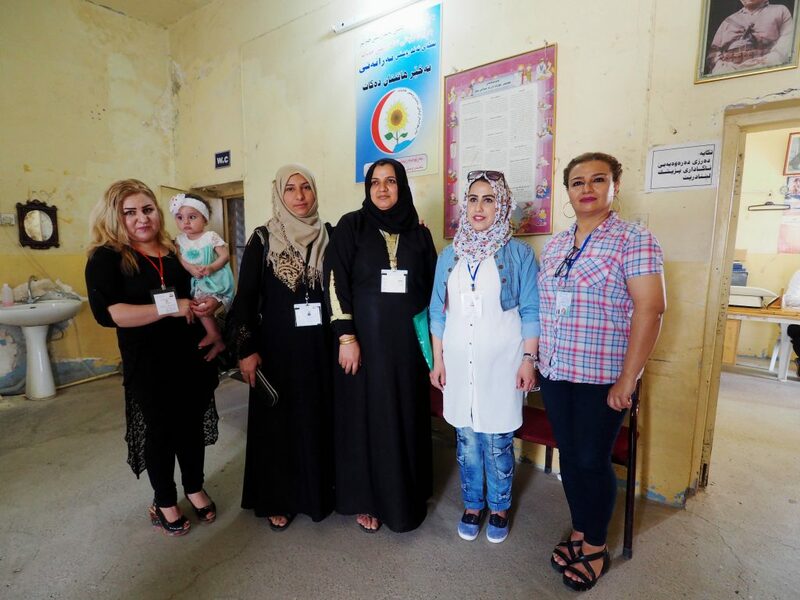 They needed women health volunteers to provide displaced families with important health education. I signed up and immediately started medical training. Every week, I learned something new, and then went and visit about 50 families in my local area to teach them how to cope with minor illnesses, and how to avoid more serious illnesses. I receive a monthly stipend and this has helped cover our living costs – crucial, given that my husband can no longer work. Our living situation is still difficult – we live with lots of other families in an abandoned building site – but at least we are stable. I put all of my energy into my work, and I feel really proud to be helping other displaced families while also supporting my own. I know that the health education I’m providing them with is saving lives, and that’s an amazing feeling. Step by step, I am also developing really strong relationships with local families. They come to me if they are in trouble, and I do everything I can to help them. I know they would support me if I needed them too. To help Khalida – and other internally displaced people and refugees like her – please make a donation to AMAR today. Donor support ensures that hundreds of thousands of people have access to the health care, education, and emergency supplies they need to thrive.